Wednesday night 21:00 EDT to around 23:00 EDT - TOMORROW! Looking to run Lost Island normal mode. Looking for 126 rating Implants and offhands. Plus this is another FP that I've never done. 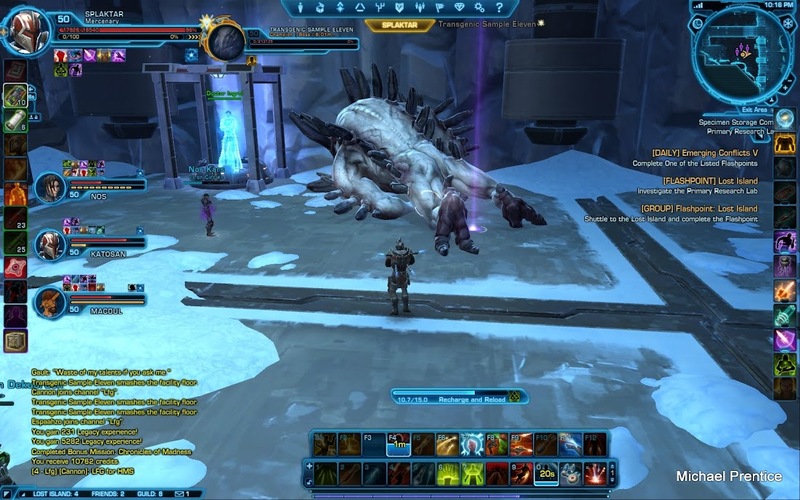 Here is a guide to the instance: http://www.swtorstrategies.com/2012/04/ ... guide.html . This is the new FP for 1.2 introduced about a month ago. Last edited by Splaktar on Wed May 30, 2012 9:32 pm, edited 2 times in total. Sign up Mac for heals, I'd like to try this one out. 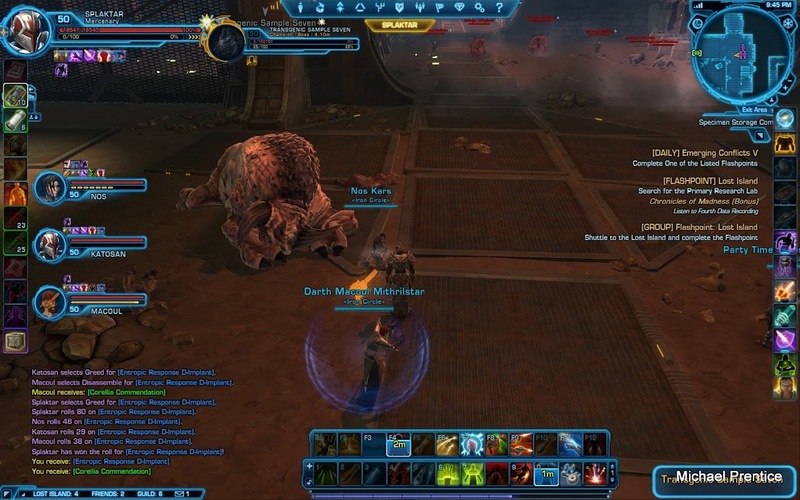 We should have weekly runs of new content and heroics so we keep together as a guild and get to know our play styles for Ops. It was a fun FP. It would be really insane, worse than Kaon, on HM. 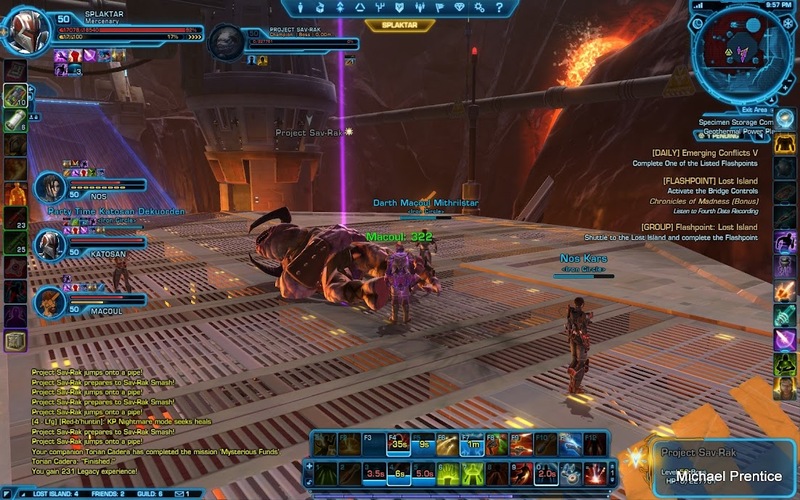 Even on Normal, there were some challenging fights towards the end. 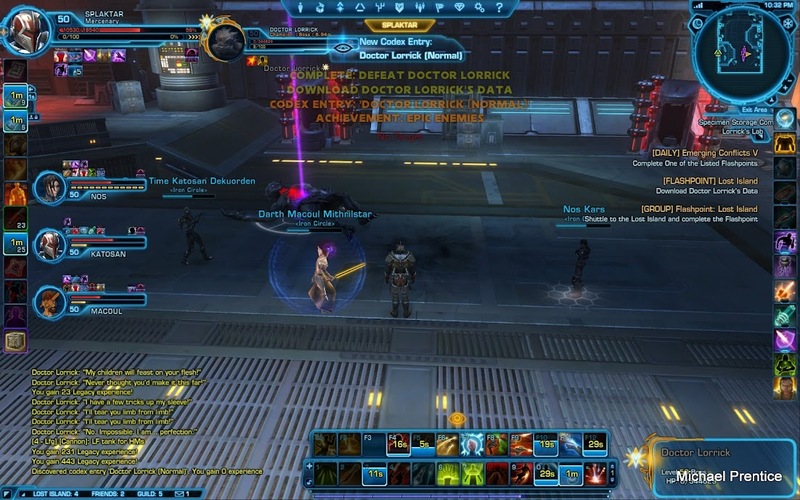 Lots of boss abilities need interrupting and we had 2 Merc DPS who don't have interrupts. Overall the difficulty was just about right on normal mode and the columi rated ears and implants were quite nice (and needed by just about everyone). Got a nice new Ear for Katosan, I think Macoul got an Ear and Implant. I'd like to go back a few more times. Pretty fun FP overall with some pretty good monster AI and some tricky tactics to learn. Though I must say that I'm not a huge fan of fights where you almost have to die once just to figure out what you are supposed to do. But I guess that is how game design is these days. Especially without built in boss mods. Some screenshots from the run.